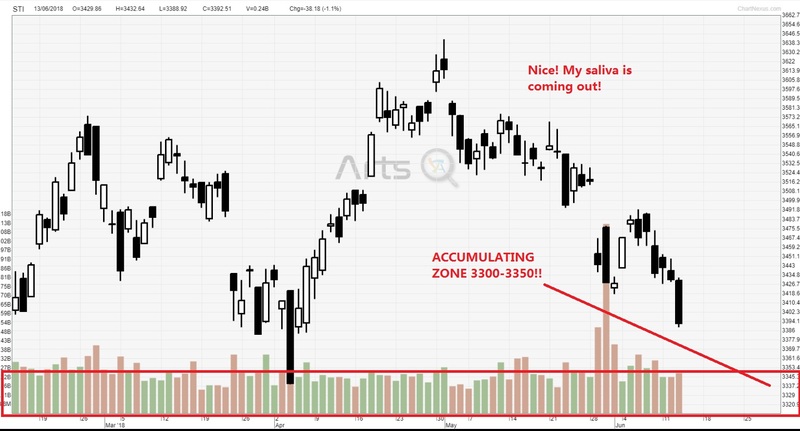 Daniel Loh: STI Cheap Cheap at 3300-3350! STI Cheap Cheap at 3300-3350! Always buy into an index when it drops hard! STI over the last one month happens to be so. From 3600 plus, it has dropped to 3380 points today. And I think this is one chance not to be missed. 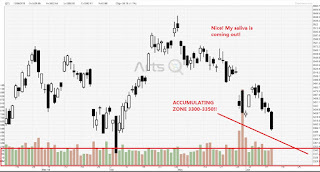 Target to accumulate is 3300-3350! One way I like to invest in STI is of course the STI ETF which is now near to $3.40. By the way it gives you dividend of 5cts too. STI is indeed mouth watering tasty at 3280!